Sportaid offers competitive solutions for your mobility needs, including a complete selection of MK Batteries for Mobility Scooters with focus on performance and life. MK Batteries for Mobility Scooters come in all shapes and sizes for each scooter style. With excellent features and functionalities, MK Batteries for Mobility Scooters are perfect for providing your scooter with power and long life. 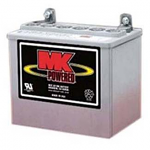 To keep your scooters running properly, browse through our complete range of MK Batteries for Mobility Scooters below or feel free to call 1-800-743-7203 for expert assistance. Select from the top manufacturers and save big with Sportaid.com's everyday low prices. 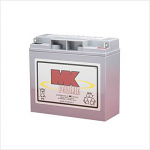 With a range of options including the MK 22NF Sealed Gel Battery, the MK 40 Sealed Gel Battery, and a whole lot more, you are sure find the batteries you need at Sportaid. 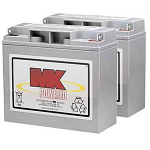 Save up to 22% on MK Batteries for Mobility Scooters at Sportaid today! 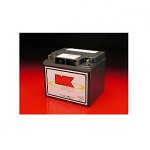 Experience a Controlled and Sturdy Drive with MK Batteries for Mobility Scooters! Whether you are a new customer or someone who has been with us for a while, we guarantee satisfaction. 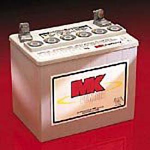 After over 25 years in the business helping people find MK Batteries for Mobility Scooters at the lowest prices, we continue to lead the industry! We carry a large selection of wheelchair cushions, wheelchair parts, and wheelchair accessories. We are capable of beating any competitor's advertised price, just call! Our customer service staff has over 50 years of experience, plus over 90 years of combined wheelchair use experience. We look forward to working with you!